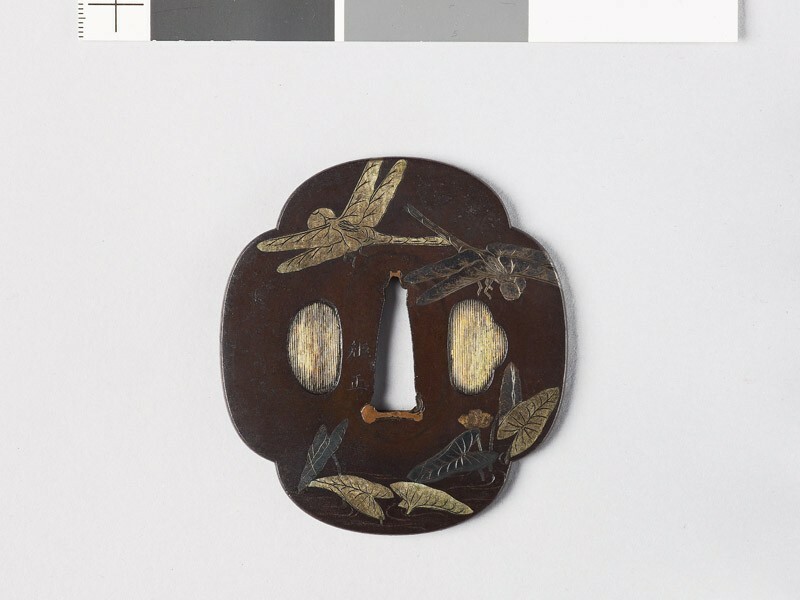 Mokkō; three large dragonflies over a pond with nuphar plants, realistically represented in engraved inlay of silver, shibuichi and gold; ryōhitsu plugged with gilt metal vertically reeded. Signed: Norimasa [Japanese text]. (Unrecorded).